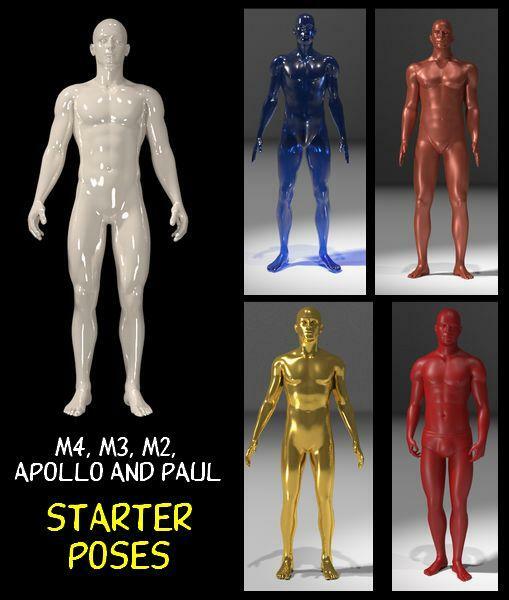 Twenty-nine starter poses for M4, M3, M2, Apollo and Paul, including standing, walking, sitting, reclining, kneeling, and zero. panioleo (2 years ago) Inappropriate? Thanks a lot skylab, very helpful! Anthony Scott (3 years ago) Inappropriate? Very Nice! Very Cool! Thanks skylab!